I love long titles, and so rarely indulge, but this was my self-indulgence book and it’s still a favourite of mine. It is a story that follows some time after the events of Natural History. 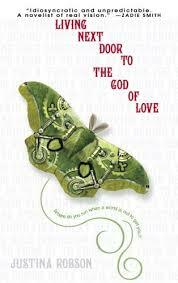 The US edition, complete with lovely cyberbutterfly. I bought NDTTGOL a few years ago and was enthralled by the generous world presented, and its inhabitants – or passing tourists! – The story was like a jungle full of surprises, never boring. Thanks!